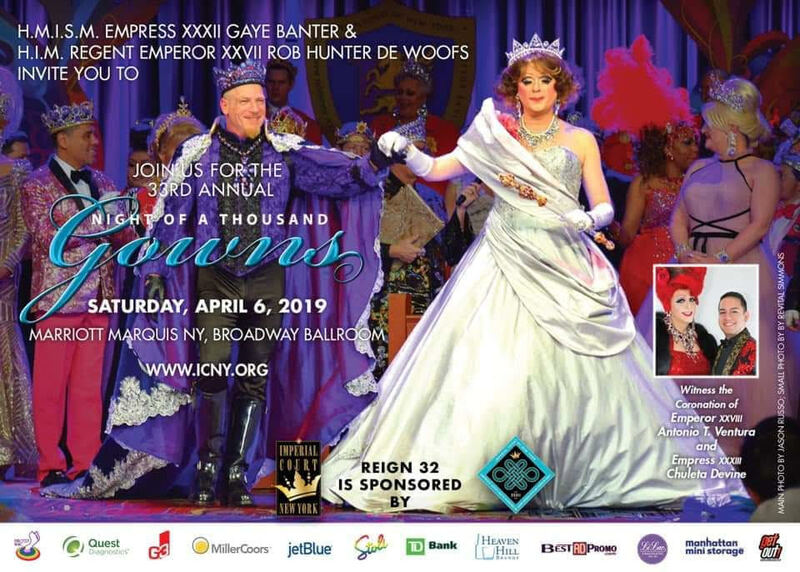 Trinity Place Shelter is honored to have been chosen as the beneficiary of this year’s 33rd annual benefit gala, Night of a Thousand Gowns, by The Imperial Court of New York. There are a few tickets left, and we would love for you to join us for this gala event, studded with royalty, pageantry and dazzling entertainment, all to benefit and support Trinity Place Shelter’s work to provide LGBTQ youth and young adults with a safe place to sleep, shower, eat and to provide counseling, supportive services, case management, education, career counseling, access to comprehensive health services, and mental health services utilizing community partnerships. 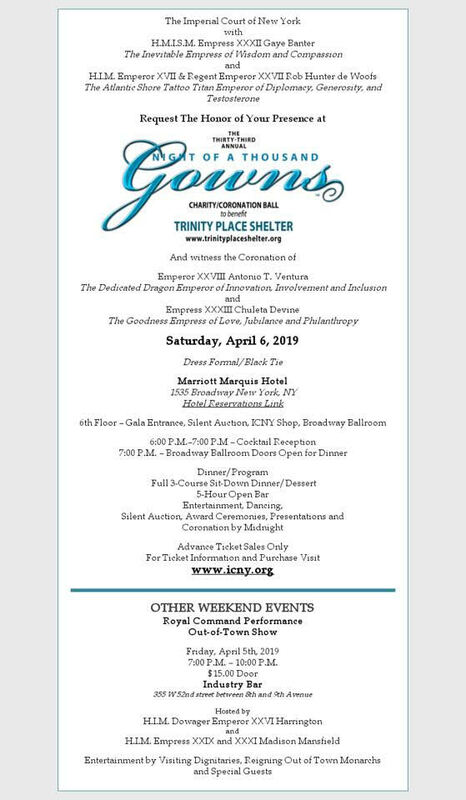 The Imperial Court of New York (ICNY) and Trinity Place Shelter are 501(c)3 non-profit organizations.